In the farewell month of a year, Pattaya as a touristic city, there are typically numbers of entertaining activities waiting for funseekers to join. This year as well, apart from the New Year’s Eve parties, there are some music and art festivals which will be dropped in Pattaya city, a lively city that never sleeps. 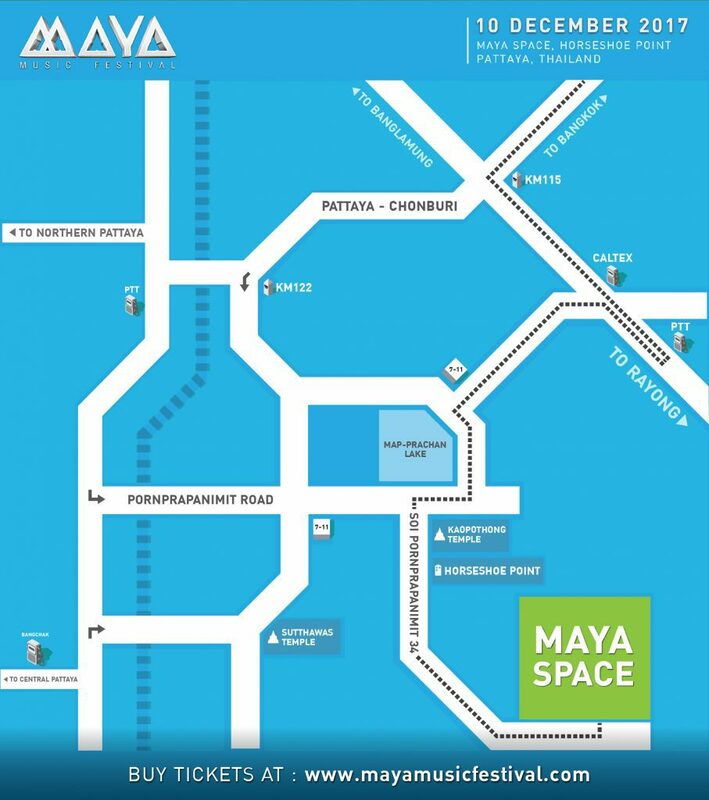 Let’s start from Maya Music Festival which will be pinpointed where the world leading DJs, for example; Zedd, Far East Movement, Julian Jordan and along with others, gathered to pass out a party vibe at Maya Space, Horseshoe Point, Pattaya on December 10, 2017 (More details on www.mayamusicfestival.com). The first time ever of Maya Music Festival was located at the 11th Infantry Regiment King’s Guard, Bangkok in 2015 in the name of ‘A Miracle of Art, Magic of Sound’. 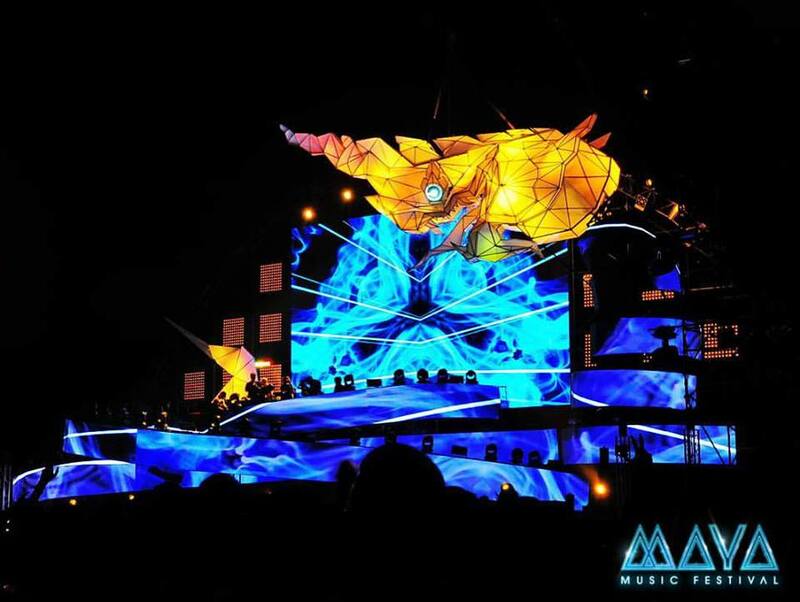 The main stage with spectacular Naga theme created a magical atmosphere and the festival itself gained mass recognition from both Thais and foreigners. The fun, though, must be continued… In this December Maya Music Festival is coming back to make your feet on fire once again! By car – From Chonburi – Pattaya Motorway route no. 7, turn the car to route no. 36 (Bypass Pattaya - Rayong). After approximately 8 kilometres, the large sign of Siam Country Club is on the right, make a U-turn and turn left to Pornprapanimit Road. Keep straight for approximately 6 kilometres then turn left once again to Pornprapanimit 34 Road. Track the festival signs then you will find the entrance. For ones who book partner hotels to Maya Music Festival, free pick-ups are offered from an to the hotel. By the way, for ones who book non-partner hotel, you can take a bus from Eastern Bus Terminal (Ekamai) or Victory monument to North Pattaya Bus Terminal. From the city, you can manage to get a taxi or a Baht bus since the festival area has not been yet reached by a public transportation. On the following week right after Maya Music Festival, Wonderfruit Festival will be ready to spark your nerve up once again. This year, the 3rd Wonderfruit Festival, a celebration of arts and life, still carries on its ideals and have already pinned the festival on the board on December 14 -17, 2017. The highlights of the festival are Roots Manuva, Izzy Bizu, Be Svendsen, Nicola Cruz, Richie Hawtin, Gui Boratto. 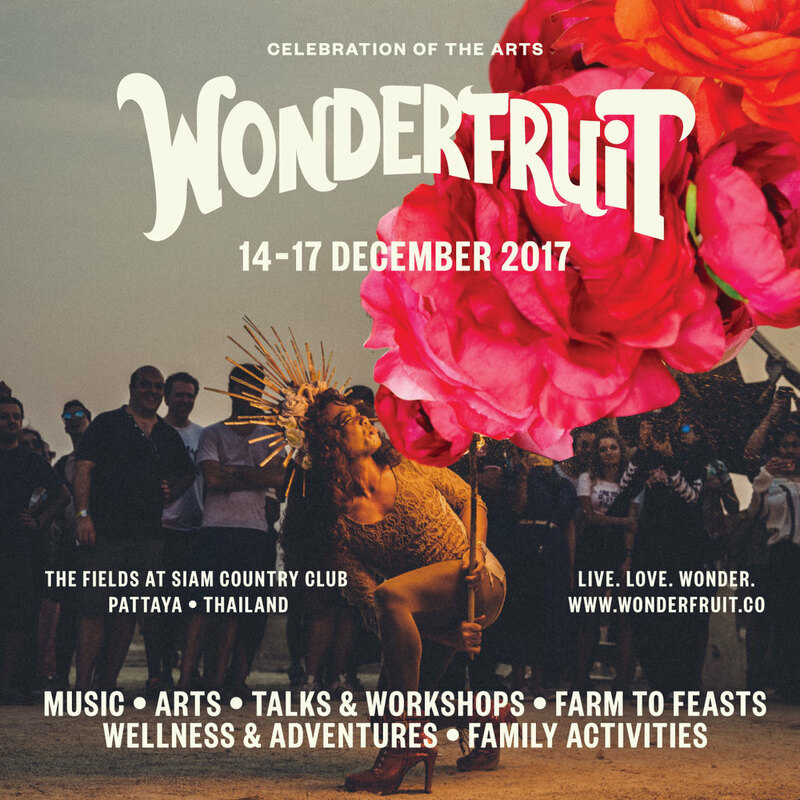 Clear all schedules and make your way to Siam Country Club (More details on www.wonderfruitfestival.com). By car - From Chonburi – Pattaya Motorway route no. 7, pull your car to route no. 36 (Bypass Pattaya - Rayong). After approximately 8 kilometres, the large sign of Siam Country Club is on the right, make a U-turn and turn left to Pornprapanimit Road. You will pass the Bhira International Circuite, a roundabout, and Siam Country Club Waterside. Track the festival sign until you find the entrance. 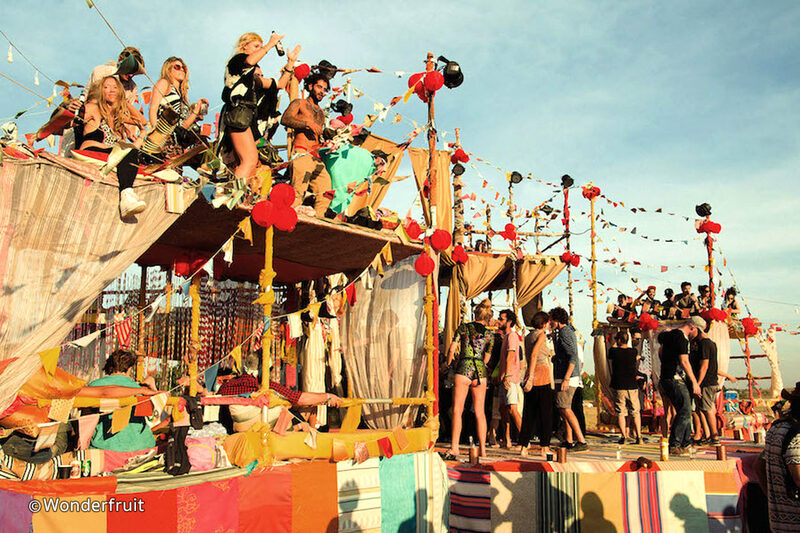 The regular camp will settle on the north and the boutique camp will settle on the south of the festival. For ones who book the camp area, there are pick-ups from and to Suvarnabhumi International Airport and Donmuang International Airport or if you book partner hotels in Pattaya city indicated in the package, there will be direct pick-ups from the hotels. However, for ones who book non-partner hotel, you can take a bus from Eastern Bus Terminal (Ekamai) or Victory monument to North Pattaya Bus Terminal. From the city, you can manage to get a taxi or a whole Baht bus since the festival area has not been yet reached by a public transportation.